A Used Labeller is a machine that automatically applies the labels on bottles or bottles, both round and square or conical and of other shapes, of different diameter, size and material. Elitekno Bottling Solutions SRL has been selling every kind of Used Labeller for several years, and on request he can find the one that best suits the requests of your company. Find the Used Labeller that you need! Used labeling machine with 3 adhesive stations AMS FERRARI, 2.500 bph. Safety protections. For info contact us. Used labeling machine CAVAGNINO&GATTI, 12.000 bph. Safety protections. For info contact us. Used labeling machine CAVAGNINO&GATTI with 2 adhesive stations, 1991. Safety protections. For info contact us. Used labeling machine CAVAGNINO&GATTI for mignon bottle, 2007. Safety protections. For info contact us. Used labeling machine CAVAGNINO&GATTI CG XPS, 12 heads. Safety protections. For info contact us. 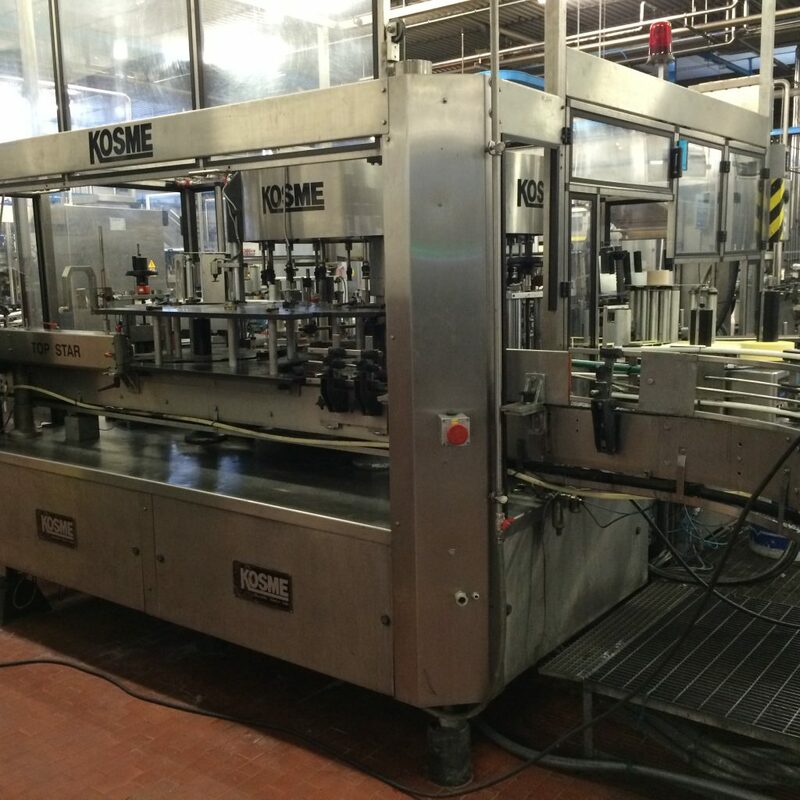 Used labeling machine KOSME with two cold glue stations. 1992. For info contact us. Used labeling machine P.E. with optical centering, 14.000 bph. Safety protections to norm ce. For info contact us. Used labeling machine CAVAGNINO&GATTI 6 heads, adeshive. Safety protections. For info contact us.